The deceased, V Moosa (61), had been battling for life since the past few days in a private hospital here and was on ventilator support. The death toll due to Nipah rose to 11 in Kerala, with one more person succumbing to the deadly virus in Kozhikode on Thursday morning. Kozhikode district medical officer, Dr Jayasree E told reporters. About 160 samples have been sent for testing at the virology institute and 13 cases have been found to be positive, she said. Of the 13 confirmed cases, 11 people have died so far. The official further said confirmation is awaited with regard to one more death in Kozhikode. This is the fourth death in Moosa's family.Moosa's sons Mohammed Saliah (28), Mohammed Sadiq (26) and a relative Mariumma had died earlier. While two of the deaths have been confirmed due to Nipah, the blood samples of one of his sons had not been tested for the virus, sources said. Nurse Lini Puthussery, who had initially treated members of Moosa's family who had been affected at Perambra Taluk hospital in the district, also died after being infected by the virus. The state government has also issued an advisory, asking travellers to avoid visiting the four districts of Kozhikode, Malappuram, Wayanad and Kannur. "Travelling to any part of Kerala is safe. However, if travellers wish to be extra cautious, they may avoid the four districts," Health Secretary Rajeev Sadanandan said. Most of the deaths reported are from Kozhikode and Malappuram districts from where 11 deaths have now been reported and 18 are undergoing treatment in various hospitals, including one in Wayanad. Isolation wards have also been set up in Thalassery government hospital in Kannur, according to media reports. In Kozhikode, from where seven deaths have been reported, District Collector U V Jose has ordered temporary stoppage of all training programmes and summer camps in affected areas such as Changaroth, Koorachund, Kottur, Cheruvannur, Chekyad, Chakkittapara and Olavanna. The anganwadis in these regions too have been asked to close down to avoid spread of the virus among children. However, no decision has been taken yet on reopening of schools after the summer vacation. The administration is hoping that the situation will be under control by the time schools reopen after a week. 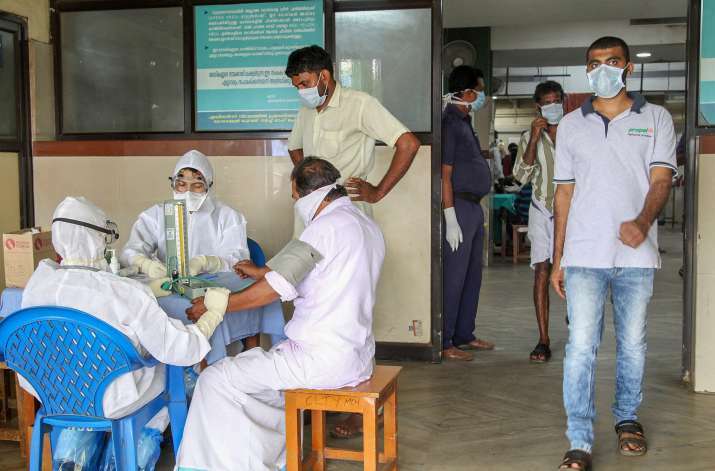 In neighbouring Malappuram, where three persons have died due to the virus, orders have been issued in four panchayats to stop Anganwadi classes for the time being. A crisis management group has been constituted to coordinate the response of government agencies following the deaths in Kozhikode and Malappuram districts. An expert team from the National Centre for Disease Control (NCDC), including its director, Dr Sujeet Kumar Singh and Head of Epidemiology, Dr S K Jain, and a high-level team from the All India Institute of Medical Sciences (AIIMS) are camping in Kerala to take stock of the situation. Surveillance has been increased in all districts. The outbreak of the virus infection, which is a newly emerging zoonosis that causes severe disease in both animals and humans, is suspected to be from an unused well which was infested with bats.